TORONTO -- Pauline Osena knows how crucial it is to have EpiPens close at hand for her two young sons, who are at risk of life-threatening anaphylaxis because of multiple food allergies. So it's no surprise that the latest short supply of the emergency rescue medication -- an auto-injectable device that delivers a shot of symptom-relieving epinephrine -- has her worried. "It's something I'm really concerned about," said Osena, referring to the recent notice from the drug's manufacturer that there's a shortfall in inventory of EpiPen and EpiPen Jr.
"We've had to use EpiPens multiple times," said the Toronto mother of three, whose four-year-old daughter is free of allergies. 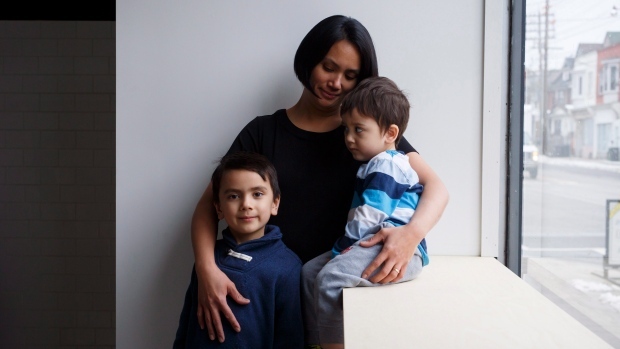 "Both of my sons have gone into anaphylaxis, a few times." Six-year-old Lucien is allergic to peanuts, tree nuts, dairy, eggs, wheat and chicken; Xavier, 2, can't tolerate fish, peanuts or eggs. In the most recent incident, Lucien had an unusually delayed allergic reaction to wheat a couple of hours after having had a scheduled food-challenge test at his allergist's office and "ended up kind of gasping for air and not being able to breathe," said Osena. An inability to breathe is one of the hallmarks of anaphylaxis, along with swelling of the lips, tongue and throat. Other symptoms can include hives, vomiting, diarrhea and stomach pain. 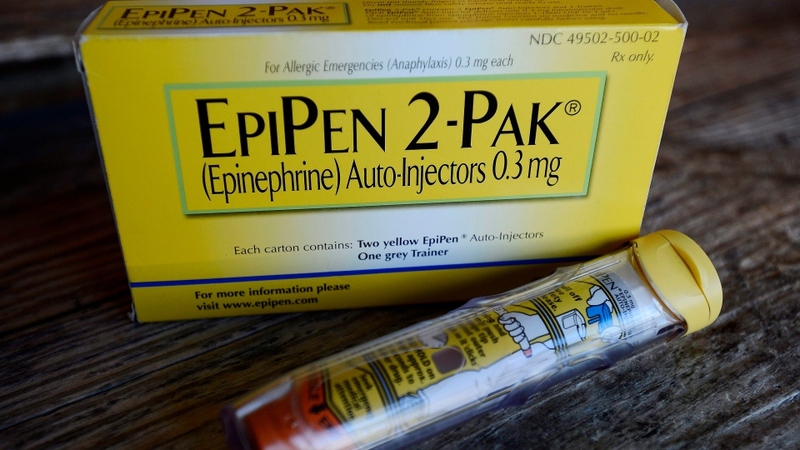 Pfizer, the drug company that produces the EpiPen, announced last week with Health Canada that there was limited inventory of both the adult 0.30-mg device and the children's 0.15-mg epinephrine auto-injectors, and availability of the medications was being "managed nationally." The notice marked the sixth time since the beginning of 2017 that there's been a shortfall in supply of EpiPens -- the only emergency medication for anaphylaxis on the Canadian market. Osena said she already ran into trouble trying to fill the boys' prescription: each of her sons carries one at all times and she keeps one in her purse. Lucien's school has another on hand in case he has a severe allergic reaction and needs a double shot before paramedics arrive. Next week, she will have to supply one to the daycare centre that Xavier will begin attending. "So there were multiple EpiPens to replace and I called the pharmacy we have our prescription with, and (they) told me there was a shortage," said Osena, adding that she could get only one for each boy to replace those that had expired at the end of March. "So at least we have two. We have a back-up EpiPen for them if they're together." Beatrice Povolo, a spokeswoman for Food Allergy Canada, said Pfizer has not been able to predict an endpoint for the short supply of EpiPens and that has members of the allergy community worried as they head into peak season for summer travel, summer camps and potentially even back to school. "I think really that seems to be the primary concern, the timing and the impact it will have on individuals and families," she said. 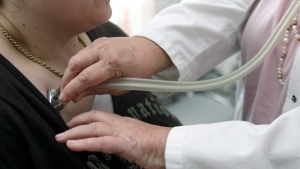 An estimated 2.6 million Canadians have allergies to foods as well as such triggers as medications, latex and insect bites, though it's not known how many pack an EpiPen. "It really depends on the individual and the exposure, but in all cases if you have been diagnosed there is the potential to have a serious reaction," said Povolo. "It's important to understand that anaphylaxis is life-threatening, people need to be prepared and really their first line of defence in treating a reaction is epinephrine." Pfizer Canada spokeswoman Christina Antoniou said it's not unusual to have short periods of reduced supply of the auto-injector. "There's a relatively short shelf-life on it of 12 to 18 months, so between the relatively short shelf-life and managing the inventory supply, it's quite normal for us to experience periods of limited supply," she said. This latest incident of reduced product is being blamed on problems at the manufacturing level due to insufficient quantities of a component that is part of the auto-injector device. "But the most important thing to note is that we are continuing to receive supply on a regular basis," said Antoniou. "We continue to receive and ship supply, but there may be more limited supply at the pharmacy level." If consumers have difficulty filling a prescription, Pfizer advises they try another pharmacy or have their pharmacist contact Pfizer directly. "The shortage doesn't necessarily mean that there's nothing," said Antoniou. "It just means that there's less than there normally would be." Osena is following Health Canada's advice to carry and use an expired product in the case of anaphylaxis if that's the only device available, and to call 911 -- standard procedure even with an unexpired EpiPen. Still, she's frustrated by the fact there are no other companies that market auto-injectors for anaphylaxis in Canada and the EpiPen supply problems could potentially put her children and other Canadians with severe allergies in jeopardy.